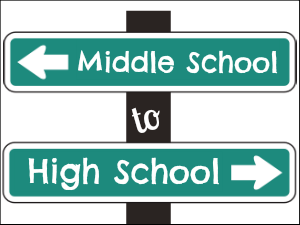 How Do You Prepare For the Transition to a New High School? What's More Beautiful Than a Great Story? By now, the letters of acceptance have been delivered and you’re choosing the high school you want your child to attend in September. Once the contract has been signed and the deposit sent, it’s time to prepare your student for the transition to high school. Over the next several months, several things can be done to help make this move go smoothly. A little planning now will pay off in the fall. Start by taking a look at the academic requirements at your new school. Find out the courses that will be taken next year. If possible, ask for the syllabi so you can review the expectations of each teacher. Does you child possess the skill level required to enter these classes? If not, many parents enroll children in summer courses that will enrich or review concepts to strengthen a student’s academic foundation before beginning school in the fall. Having a strong understanding of the fundamentals of a subject will provide a safer starting point for new courses. As scary as the transition from middle to high school or one high school to another can be, it is manageable and can even be exciting if you take a few steps to make sure that there aren’t any surprises. If you stumble upon something you didn’t anticipate, just ask for help. The staff in high schools will be as friendly and supportive as the school you just left.